The Fiji islands are situated south west of the Pacific Ocean and they are renowned in many parts of the world for their beautiful warm climate, unique and relaxed island atmosphere and the stunning beaches. Indeed, the Fiji Islands are one of the most visited islands on earth not just because you get to experience a vacation of a lifetime, but also because of the wide-ranging geography and landscape. Vitu Levu serves as the international gateway to many of the Fijian islands owing to the Nadi international airport. It is the largest of all Fiji islands and is the site of the nation’s capital city, Suva. As such, Vitu Levu hosts the largest population of the island and has access to a number of activities that make it easier to enjoy yourself while on holiday. If you are interested in experiencing Melanesian life firsthand, a trip to the capital Suva is worth including in your itinerary. Denarau Island is perfect if you are looking for a community feel, fun, and intense social interaction. The island is located just off the main island of Viti Levu and is only 5 km away from Nadi city, which is closely situated next to an airport and big name hotels and resorts such as Sheraton and the Hilton. Denarau Island is joined to the mainland via a small causeway which makes it possible to move around to the Yasawa or the Mamanuca islands. This island was formerly known as Sandalwood Island and is the second largest island in Fiji. Vanua Levu is characterized by lowlands of coconut and sugarcane plantations and high waterfalls. Outside the main city centers, the periphery of the town is characterized by miles of unoccupied beaches, some of which have resorts, traditional villages, and miles of jungle waiting to be explored. Yasawa Islands are remote, but they are accessible, which is part of what makes the islands so appealing. Yasawa Islands are situated northwest of Viti Levu and they feature a wide array of affordable accommodation options to suit every budget. There are no banks or shopping malls in the Yasawa Islands; however, you will not run out of outdoor activities to take part in. Bula! Welcome to diving the Fiji Islands. 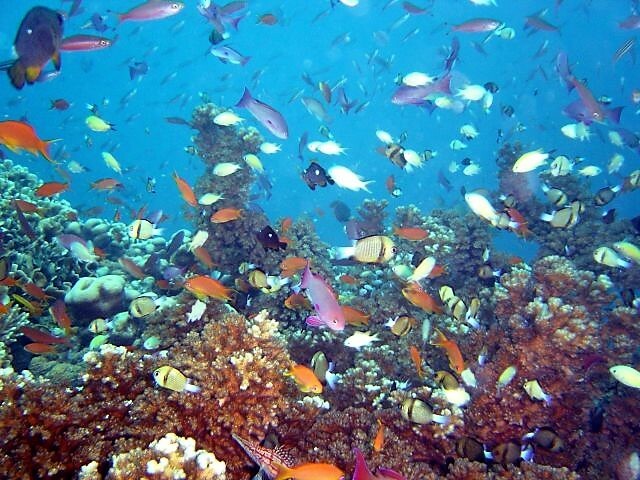 Fiji Diving is about diversity, mainly famous as the Soft Coral Capital. But this does not even come close to describe the ultimate dive adventures the Fiji Islands have to offer.